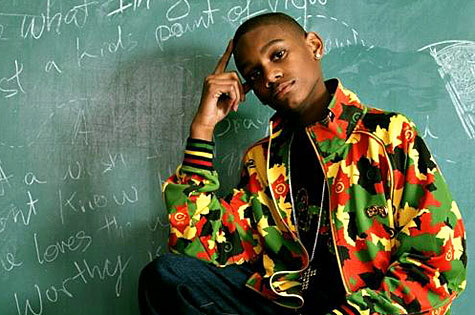 Born in Columbia, South Carolina, singer Dijon was only 14 years old when he released the moving single "A Kid's Point of View" (2007). 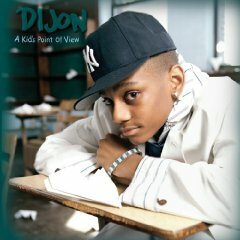 Based on his own life experience, "A Kid's Point of View," is a song that focuses on divorce from the children's viewpoint. The track immediately connect with listeners and became the title track to his full-length debut "A Kid's Point of View," also released in 2007. The 11-track A Kid's Point of View is a spirited smorgasbord of soul-stirring songs - delivered with fervent reverence via the voice of Dijon . The material ranges from songs of devotion and praise like "Worthy is The Lamb," "Real Love" and "I Know Better" to more bumpin' contemporary jams like "He is Lord," "Give Praise" and "I Wanna Be More Like Him." The delicate strategy at hand is to introduce someone as special as Dijon in the wisest way possible. Producer Todd (Boogie) Muhammad - whose clients range from black soul superstar Charlie Wilson to white teen sensation Aaron Carter - chose to start with a penetrating song that speaks more to earthly troubles many young people face today - that of parents fighting, separating and divorcing. Dijon has another message for the youth titled "Pressures" urging them to think for themselves - of what God would want them to do - and to not be afraid to stand apart or be different. Having lived in South Carolina, Colorado, Virginia and Atlanta in his short lifetime, Dijon understands the pressures of "fitting in" and making friends. "I've had a lot of experience with peer pressure," Dijon states. "I want kids to know that if people don't like you for who you are then they're not really your friends. Don't try to be like everybody else. You are you. God made us different for a reason. There are kids who want to commit suicide or do something bad to their self because they think they don't look good. Everyone is beautiful in God's eyes. And if God thinks you’re beautiful, you don't have to worry about anyone else." Key to Dijon 's success will be that his music is stylistically varied - from the on-fire techno bounce of a jam like "Give Him Praise" to the epic choral flourish of "Worthy is The Lamb" - but the content and urgency of his messages remains consistent. On "Jesus Will Know," Dijon's feel-good mission statement reads, "You've got to come join me at the alter and confess your sins / You might even have a bigger problem that you know you can't fix / The Way from up above is The Answer that I know you want / And when you throw your arms He'll be waiting and you don't have to front." Later, on "He is Lord," Dijon looks even deeper within and shares, "People say Dijon can fall flat / You should be singin' R&B, gospel pockets ain't fat (but I ain't like that) / This is how I give praise and that's that / I let my God do the talkin', they can keep all of that!"